1888 – Birth of Dr. Ernst Heinkel, German aircraft designer and manufacturer. 1920 – First aircraft flight across the Sahara Desert is flown by French Joseph Vuillemin of the Aéronautique Militaire. 1966 – Air India Flight 101, a Boeing 707-437, crashes into the south west face of Mont Blanc in France; all 106 passengers and 11 crew are killed. Sixteen years earlier, Air India Flight 245 had crashed in almost exactly the same spot. 1971 – Death of Ferdinand von Hiddessen, German WWI pilot and politician, first German to bomb Paris in World War I. 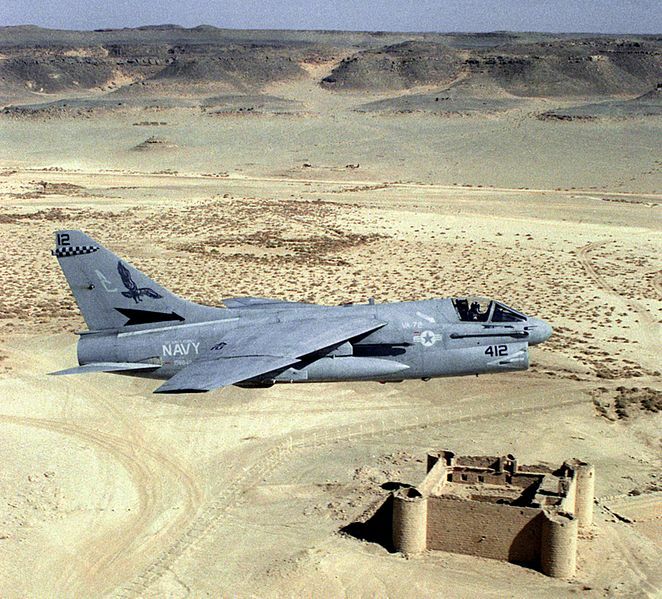 1991 – An LTV A-7E Corsair II (sister ship shown) has the dubious distinction of being the last of the type in U.S. Navy service to need a barricade landing aboard a carrier. When the nose gear was damaged on catapult launch from the USS John F. Kennedy, at start of mission against a target in western Iraq, Lt. Tom Dostie succeeds in hooking the 1 wire and aircraft snags safely in barricade. Since the A-7 was about to be retired, airframe is stripped for parts and buried at sea the next day with full military honors, but refuses to sink until strafed by air wing jets. 2011 – Etihad Airways Flight 19, an Airbus A340-600, was escorted into Stanstead Airport near London by two Royal Air Force Typhoon aircraft from RAF Coningsby. The flight originated at Abu Dhabi International Airport and was bound for London Heathrow Airport when it was diverted due to an unruly passenger who is later arrested.